The LEGO® SERIOUS PLAY® methodology is a radical, innovative, experiential problem-solving process designed to enhance business performance. It is based on the concept of ‘hand knowledge’, and the belief that everyone can contribute to the discussion, decisions and outcome. The use of LEGO® bricks simply enables you to take a speedy shortcut to the core. The bricks work as a catalyst and trigger processes that you were previously unaware of. Leaders don’t have all the answers. Their success is dependent on hearing all voices in the room. People naturally want to contribute, be part of something bigger and take ownership. Allowing each member to contribute and speak out results is a more sustainable business model. All too often, teams work sub-optimally, leaving team member knowledge untapped. We live in a world, which can be best described as complex and adaptive. 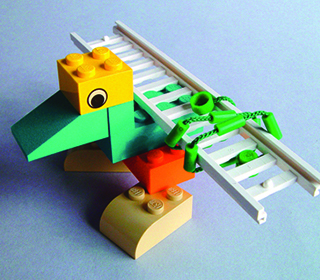 Why use LEGO® SERIOUS PLAY® Method? At the centre of the answer to this question is the notion that we know much more than we know we know, and the belief that we live in a world that is neither linear nor predictable. Only by articulating what we know, and what we can imagine, can we intentionally work towards changing the world to be more consistent with our values. This is ‘why’ one would use LSP. Our hands are connected to between 70 to 80 percent of our brain cells. Our brains are limited in how much information they can consciously handle. But with the help of the neural connections in our hands we ‘know’ a lot more than we think we know. 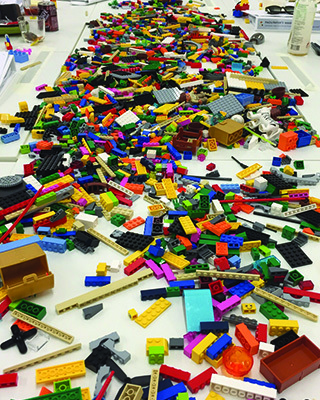 The LEGO® SERIOUS PLAY® method taps into the human ability to imagine, describe and make sense of a situation, and even to create something radically new. When our hands are used in learning, it generates a powerful emotional charge. As a result, the thoughts and ideas that are built with our hands are expressed in greater details, and are more easily understood and remembered. 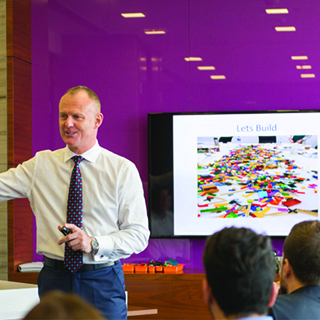 Along with carefully chosen LEGO® bricks and elements, participants use a unique process where people ‘think through their fingers’ – unleashing insight, inspiration and imagination. 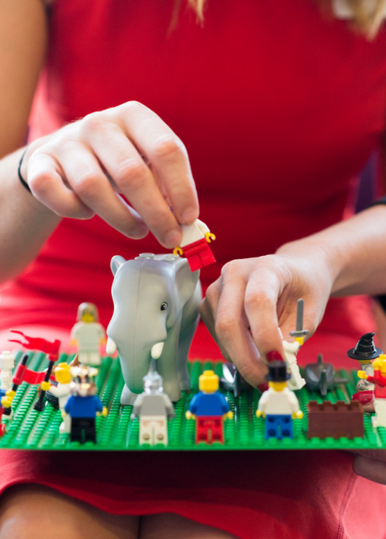 The LEGO® SERIOUS PLAY® method is based on the belief that everyone has something unique and valuable to contribute. It releases and enables individual and team insights and imagination. People gain understanding and clarity and are empowered to make effective decisions and do so with confidence and commitment. Traditional ways of working together do not always offer an opportunity for each person to express critical insights due to the over-reliance on assertive verbal interactions. LEGO® SERIOUS PLAY® levels the playing field, engaging 100 percent attention and participation and ensuring all members are part of a team because they possess unique knowledge. Using the LEGO® SERIOUS PLAY® process is highly efficient. Within just a few days, a group or team can have a clear, shared direction with people who are confidently aligned and committed. Suddenly, insights have a real impact on their work and choice of actions. Implementation begins to happen naturally. 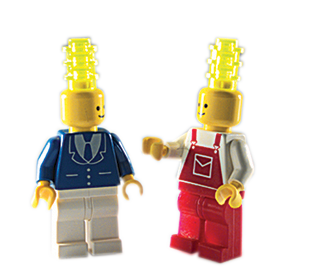 A LEGO® SERIOUS PLAY® process surfaces the emotional element of decision-making. Recent studies demonstrate that emotions always play a role when an individual makes a decision, it’s not whether they should or should not. It is about being aware of it, and thus intentional about it.